Painstakingly PU Leather assembled and adjusted to fit your bodies in the most befitting way. 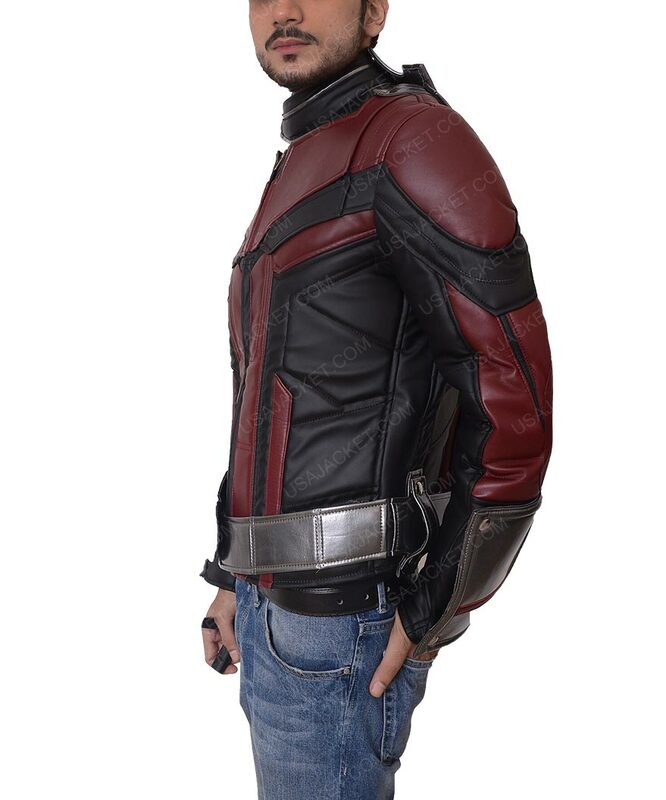 This Ant Man 2 Paul Rudd Jacket is ideal for your cosplay ventures and other getup events. 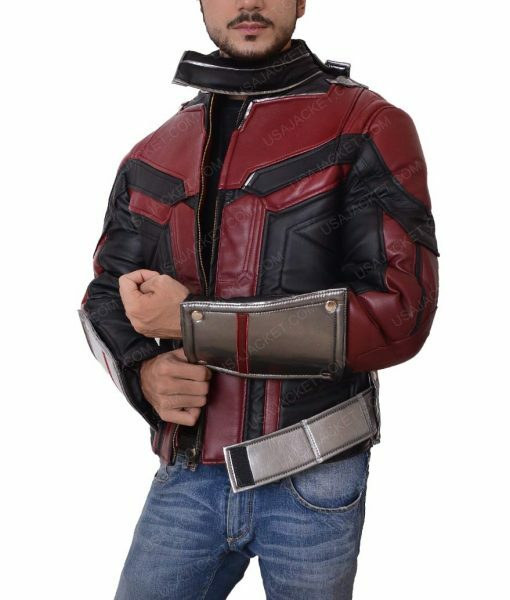 One of the precise arrangements which really makes this body-fitting personify an enigmatic body gear experience is its silver piping intrigues being pronounce punctuated all over the place. 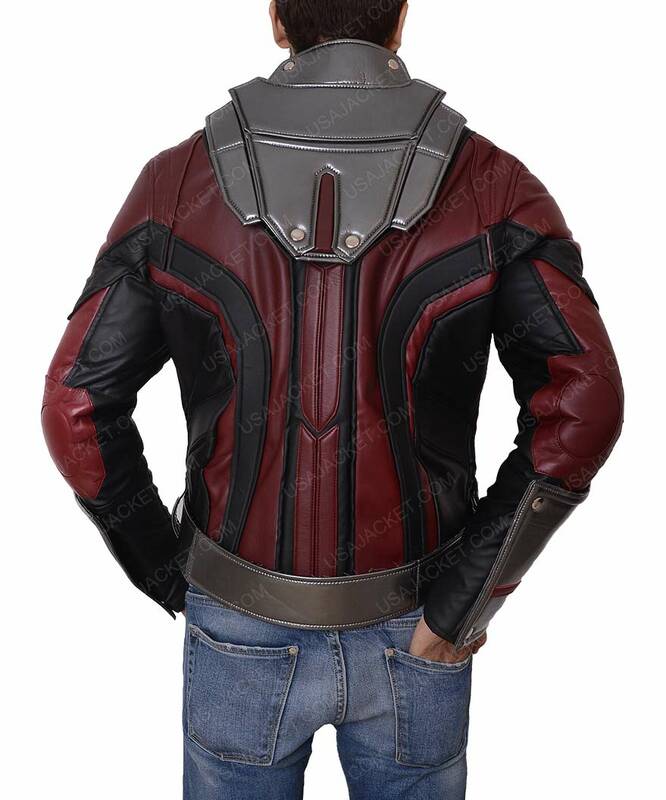 Other specs include a sleek high neck collar downed with an enclosed zipper setting over the facade, zipper cuffs and a shaded trilogy of black, grey and red replenishing it for another human savior cause. 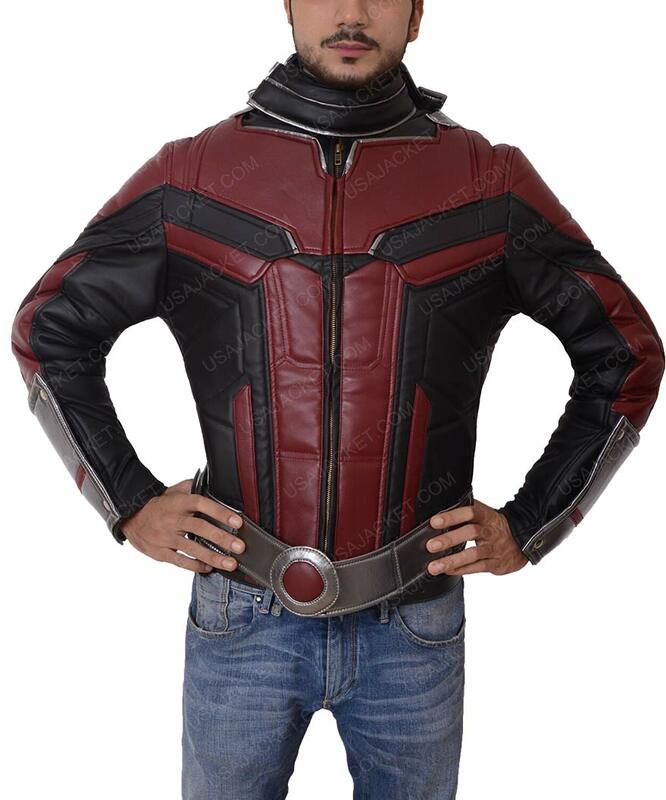 An absolute win-win garment when it comes to an emulating ramification of Scott Lang’s creepy-crawly humane character.